Landmark, Geoquest, IHS Kingdom, Petrel, and Petra. The Larson Network Print Server overcomes many problems and frustrations with printing a high-volume of CGM files in Windows, Linux, and Unix environments. Our easy to configure print server, utilizes a "hot directory;" simply direct your CGM files, and they print. and more reliably than the Windows printing system. 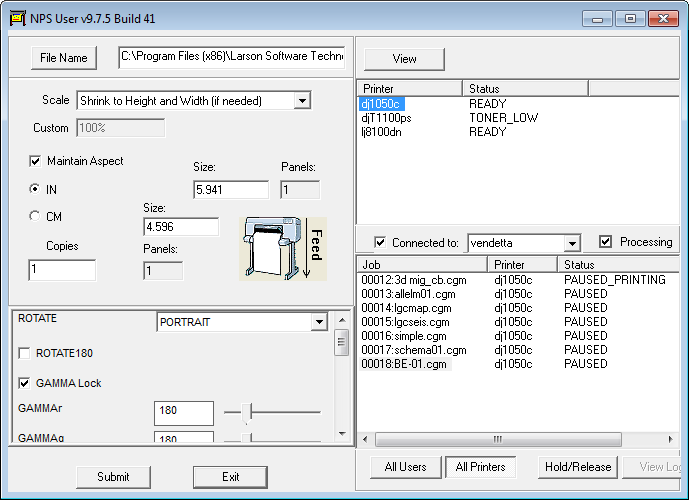 Plots can be hundreds of feet long, avoiding print driver and printer RAM limitations. Submit print jobs via through a "Hot" directory from Linux, UNIX, & Windows applications. Submit unlimited numbers of print jobs. Connect to local and remote printers via LAN, WAN, or the Internet. 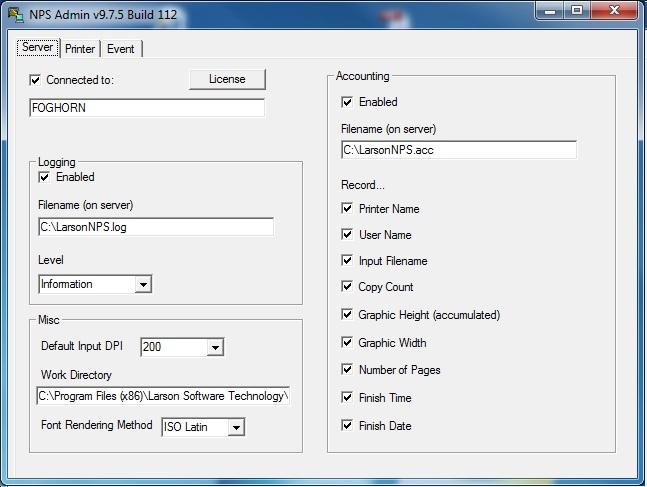 Configure graphic filters and printer/plotter drivers. The Larson Network Print Server is in use today by hundreds of companies world-wide. If your company prints high-volumes of CGM files , then our Network Print Server is the choice for you. Desktop Solution? Consider using VizEx Pro or VizEx GeoTech.